God is love. Crazy, relentless, all-powerful love. Revised and updated edition of the best-seller, now with a new preface and a bonus chapter. Have you ever wondered if we’re missing it? It’s crazy, if you think about it. The God of the universe - the Creator of nitrogen and pine needles, galaxies and E-minor - loves us with a radical, unconditional, self-sacrificing love. And what is our typical response? We go to church, sing songs, and try not to cuss. Whether you’ve verbalized it yet or not, we all know something’s wrong. Does something deep inside your heart long to break free from the status quo? Are you hungry for an authentic faith that addresses the problems of our world with tangible, even radical, solutions? God is calling you to a passionate love relationship with Himself. Because the answer to religious complacency isn’t working harder at a list of do's and don'ts - it's falling in love with God. And once you encounter His love, as Francis describes it, you will never be the same. Because when you’re wildly in love with someone, it changes everything. Thanks be to God that He purposed for Crazy Love to be written. I will not walk away from this message as a hearer only. Francis shares openly and faithfully from Gods Word to point us to His amazing love for us, and how we are called to a life of obedience and joy in Him. Now to turn conviction into action - for the glory of the King! If you are lacking direction and feel discontent with how you’re living your life in God, you must read/hear this book. Having heard, you must then act. Many important bases are covered. It is from the heart, true and stirred my own spirit to rejoice in following the Holy Spirit. Chapter 11 and 12 was very convicting to serve in my own personal walk which is the place God wants me to work. Some books are like chicken, you eat most but have some bones to throw away. This was boneless chicken. It was all good. Have to say, Chan has created an incredible work here. I can feel his emotion in his narration it really brings his deeper message of a closer relationship home. The content and the presentation here are amazing. Highly recommend! 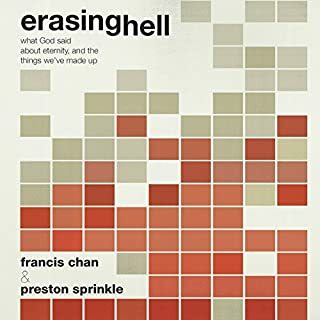 This book, though beautifully written by Francis Chan whom God is using magnificently, is a call to see how much the God of the universe loves us. We are beyond unworthy and yet this book shows how much His love is for you, but it also shows how much we should love Him in return! What a beautiful truth and a hard, yet needed, calling! Thank you God for speaking the words to Francis and thank you Francis for being bold enough to write what God was laying on your heart! Crazy Love shifted my old mindsets and changed my perspective on Godly love. I highly recommend this book!!! As Christians we often read books or listen to sermons and feel inspired by then. Don't listen to this book and just feel inspired. Listen to it and allow God to change the direction your life is headed. Listened to it by myself the first time and loved it so much I listened to it a second time with my husband. I recommend Forgotten God as well. Perfect book to read along with Crazy Love! If you want change, here it is. 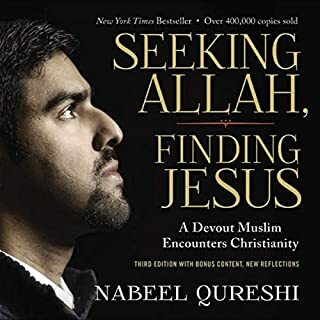 A great book for those who dont want to question their faith by any means, but to truly look deep within yourself on how to live a God pleasing life. Also to observe how engrained God really is in your life. 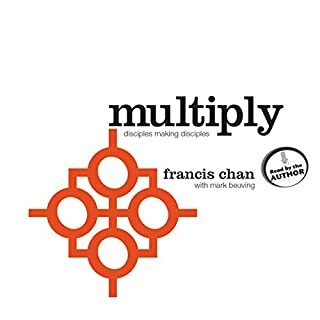 Would you try another book from Francis Chan and/or Francis Chan? 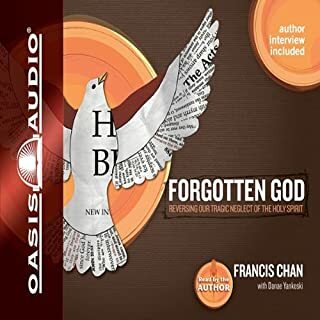 I love this book and I love to hear Francis Chan. However, this book put me to sleep the way he read it. I was looking forward to listening on my road trip and I had to put on something else. He does not read it with the passion he possesses in his speaking. It was so distracting I had to just stop. 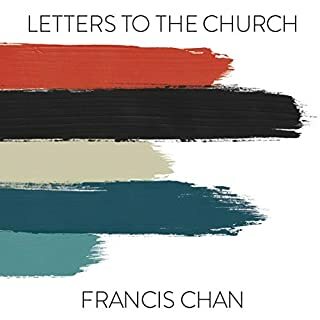 What didn’t you like about Francis Chan’s performance? He seemed to read it without feeling. Just reading words and was very slow and methodical. Nothing like he speaks. He's an amazing teacher and this book is a classic for me to go to. But, I'll have to have a hard copy and not the audible. Convicted by the fact that my Christian life does not reflect what Christ had in mind for me. Success defined by the world is not success according to Christ. With Gods help we can live according to His true will. 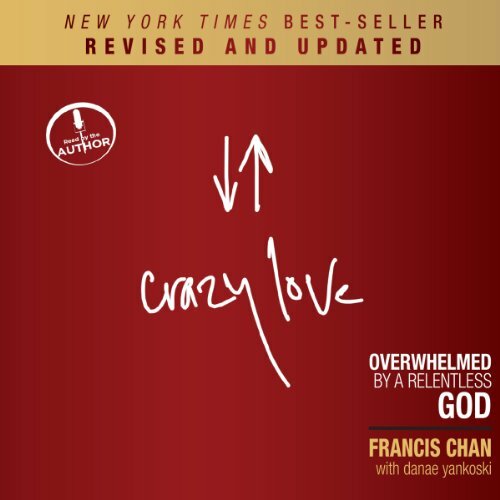 If you could sum up Crazy Love (Revised and Updated) in three words, what would they be? What was one of the most memorable moments of Crazy Love (Revised and Updated)? So well read. 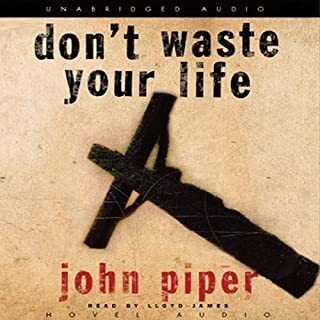 A very convicting listen. It is a book I will come back too. I have bought the study guide that accompanies it now as Chan covers a number of issues that need to be taken head on personally and more widely within the church. 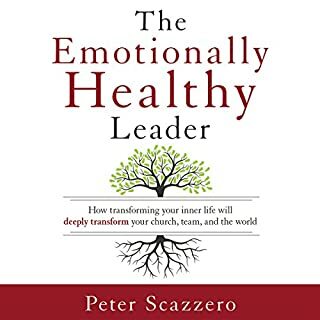 If you're not willing to be challenged or convicted, and unprepared for your walk as a Christian to be scrutinised and altered - then this is not the book for you. 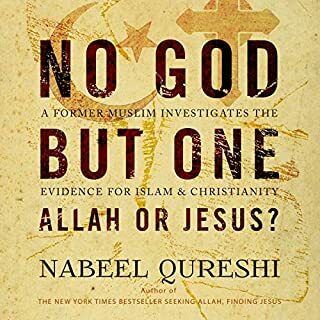 However, it IS a book that all Christians should listen to or read as it contains truths that are not sugar coated or glossed over, and they are truths we need to hear. Amazing words from such a humble servant of God, and I will definitely be listening again to bring about change in my own life. I recently watched one or two messages from Francis Chan and felt challenged that my own Christian life was falling short of God's best. 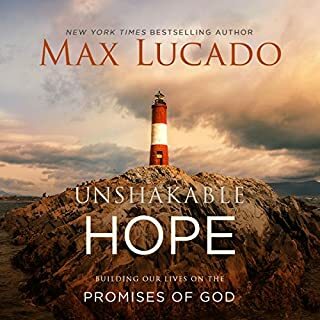 I purchased this audio book in the hope that God would show me through the example of other Jesus followers, how to be sensitive to His leading. I wasn't to be disappointed. 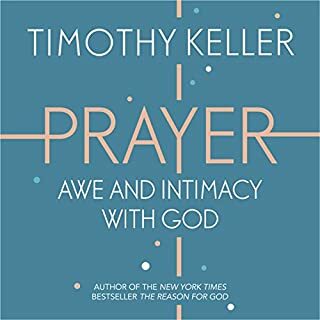 This book doesn't claim to have all the answers, but gives testimony after testimony of God's faithfulness to all that would seek to truly live for Him. So amazingly true and accurate and hard-hitting. 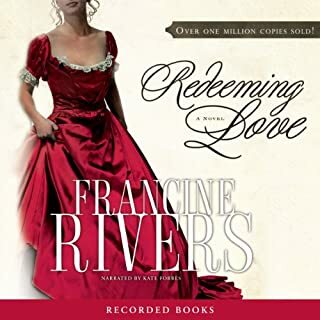 I lifted this book from my self and didn't realise that I had the ebook version as well as the audiobook version all waiting for me to engage with them. 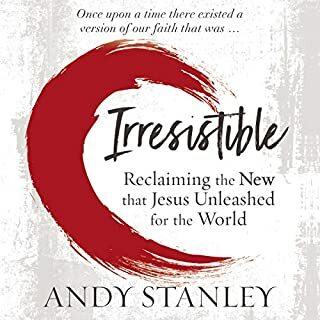 I had forgotten what it was all about so I just started to read it....currently we are serving as missionaries in Italy but wondering if the page is about to turn and not certain what the future looks like. 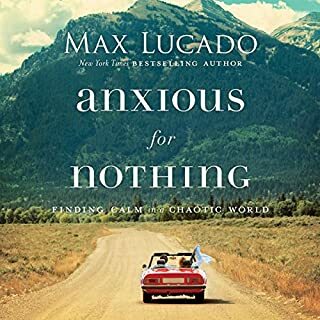 This book has helped keep the focus on what God wants from us rather than the temptation of falling into the easy, obvious, safe and almost prosperous future.